iTunes Gift Cards are a perfect gift for your friends and family, or an easy way to fill up your balance on your iTunes account! Redeem it for your purchases on iTunes Store, App Store, iBooks Store, and Mac App Store, or even use it toward an Apple Music membership. Buy your favorite music, movies, games and more! 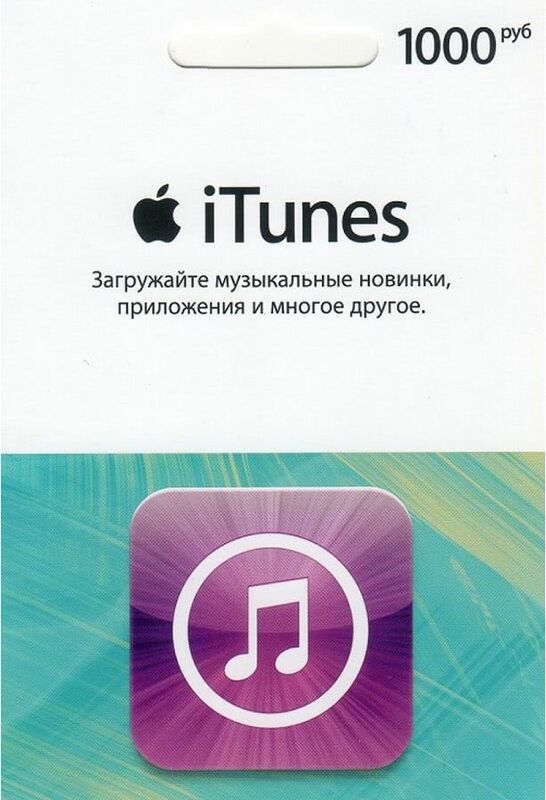 The 1000 rubles iTunes Gift Card can be redeemed only on Russian iTunes and AppStore accounts and will add 1000 rubles to your iTunes or AppStore account upon redemption. Note: This product can only be redeemd on Russian iTunes and AppStore accounts. 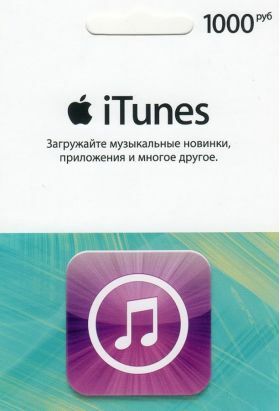 Upon buying this product you will receive a 16-digit iTunes Gift Card number, redeemable only on Russian iTunes and AppStore accounts. Ребята молодцы. Все во время и стабильно. Спасибо вам. Все супер! Код получила в течении 2 минут!